Walmart's selling Intel's latest CPU for $26 cheaper than its competition right now. Today's a good day to get a deal on a powerful Intel processor: Walmart has the Intel Core i7-8700K for $313. That's $26 cheaper than the retailer's competition, and one of the lowest non-coupon prices we've seen yet. The Core i7-8700K is part of Intel's newest line of CPUs that rolled out in late 2017. 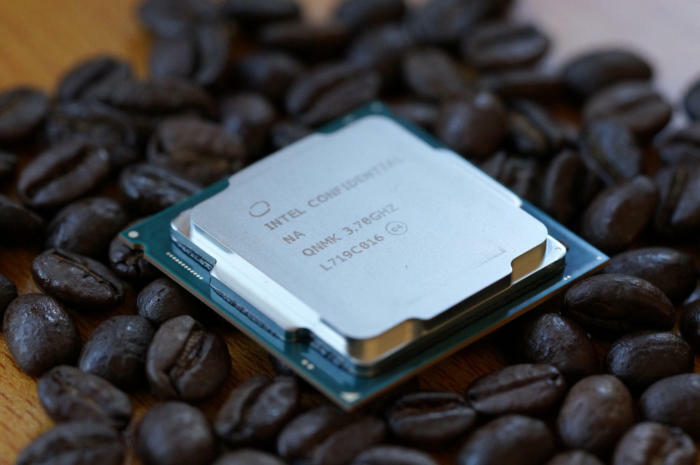 These eight-generation "Coffee Lake" chips were a notable upgrade over previous generations, due to an increase in core count: While Kaby Lake (and earlier) Core processors offered two or four cores, Coffee Lake parts offer four or six cores. Thanks AMD. This particular CPU, the Core i7-8700K, is an unlocked six-core processor with HyperThreading. It features a base clock speed of 3.7GHz and a turbo boost of 4.7GHz. When we reviewed the Core i7-8700K back in October, we called it "essentially an improved Kaby Lake CPU." That said, the i7-8700K has enough improvements that we don't recommend opting for an i7-7700K unless "you want an immediate feeling of remorse." The i7-8700K simply outperforms its predecessor. It's also a good choice over the eight-core Ryzen 7 1700X for gaming, due to better single-core performance. However, if you're a content creator, AMD's processor is better match for you, thanks to the higher core count.